November 9, 2018 What's New? 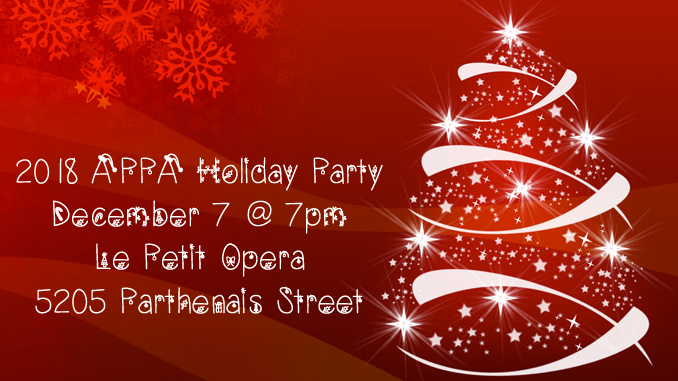 It is already time to get ready for the APPA Holiday Party! For full details as well as the ticket order form, click on “More information” below.